this is the last shot of venus crossing the sun. 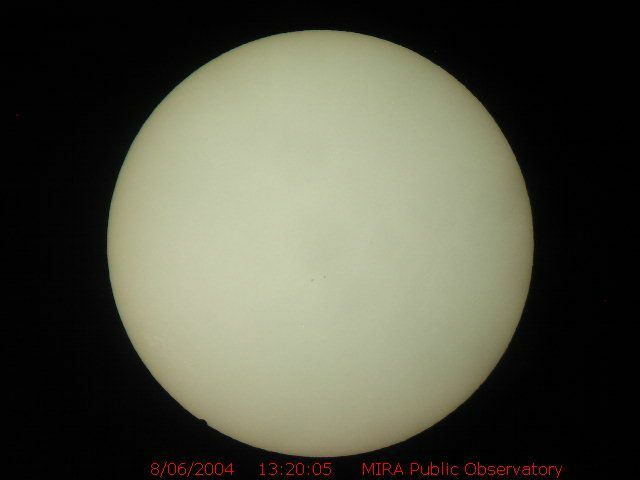 of course you can still see venus at night but this is the last time you can see it crossing the sun for a very long time, here is the picture…. 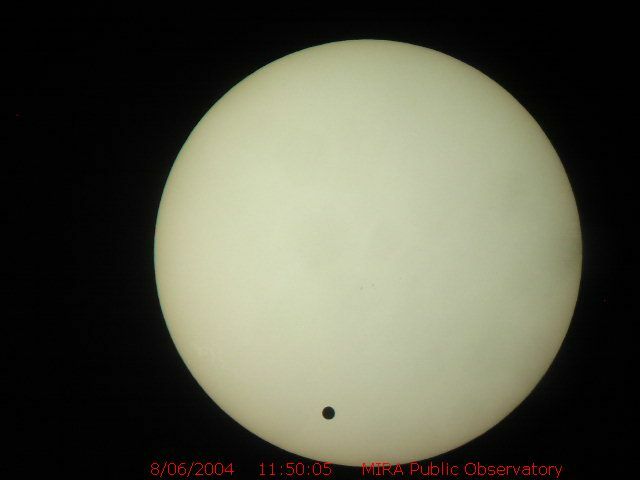 Today on the 8th of june 2004, the planet venus crosses the sun. It started about 6.19 this morning and is going to finish about 12. 23 at lunch time. Ive seen it proplerly by projecting the image through binoculars on to a piece of card and it was cool seeing it live cos i will never get to see it again, the next time it does this will be in the year 2012 but it will be invisible in europe and the one after that will be in 2117 and I would be 123 years old. I have also seen it on the telivision on CNN and also on the computer at http://www3.mira.be/vt2004/webcam.html and here is a picture….